Continuing with summarizing Buffett’s letter to shareholders. This time 1982 when Buffett was buying big and Dalio almost went bust. Good fellow investors. I continue with reading Warren Buffett's letter to shareholders and summarizing them for you to get really the most important investing learning lessons out of them. And I've been reading 1982 and 1983 which is the bottom of the market. So 1982 at the bottom of the market in August 1982 Ray Dalio went short and lost his business last ever Fink had to borrow money from his father. Warren Buffett on the contrary went along when the big went in with everything he had and more. So very important difference in timing the market with Dalio what he was doing wrong. At that point in time and Warren Buffett looking at the value investments over the cycle. OK. What's cheap. What gives me a good return over the long term protection. So let's see what he bought how things evolved. And this is a very important learning lesson that when you see value when you see cheapness no matter the environment you should buy it. Let's see. 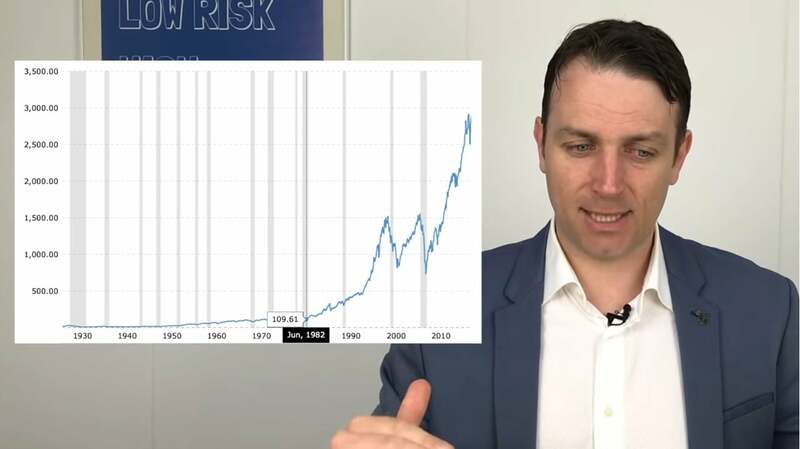 So ten years ago ten years prior to 1988 to 1972 at the height of the 20 year market mania with higher return on equity businesses bid to the sky by institutional investors Berkshire's insurance subsidiaries subsidiaries owned only 18 million in market value of equities excluding the Blue Chip Stamps. At that time some equity such equity holdings amounted to 50 percent of their insurance company investments versus the present 80 percent 20 percent you need to pay those claims etc. So he was fully inv. There were as many good businesses around to do as in nineteen eighty two but the prices the stock market placed upon those businesses in 1972 looked absurd. So don't buy stocks with absurd prices 1982 prices were very low. If I had to be average was 7. Warren Buffett was buying big and portfolio 1980 though he says cost was 400 million. His market value was already double 911 million but he's still Baltimore and from a cost of this case 350 because Kromm and force there was a cash equivalent investment so don't count that then. So from a cost of free 50 million during 1980 free he brought it to five hundred sixty million. So investor he invested another 200 million in the portfolio. The value went from nine hundred forty five million to one point three billion. So he did really well but he really invested big. What did he buy largest position tobacco company. Something he doesn't like to talk about but yes in 1983 Warren Buffett was buying cigarettes stocks and he like these because of this. I'll tell you why I like the cigarette business. It costs a penny to make you sell it for a dollar. It's addictive. And there's a fantastic brand loyalty. This is a quote from Warren Buffett that Warren Buffett's tries to forget. But it's reality. He found the business not nice addictive. He later changed his mind. He became the nice guy we know now. But his largest position investment position at least was air Raynolds industry a tobacco company that can increase prices during inflation and we'll probably do group second position market value as Geico but the cost is really minimal as after the investment in so it became a 10 bagger the position 160 Afri million was General Foods. So another company that can raise prices alongside inflation was probably cheap back then and is now or the much much higher. So if we look at the portfolio from Buffett cigarettes food ok insurance but both at the very low cost very cheap which means that he went for boring. He went forward to event defensive. He went for certainty for cash flows for dividends for slow stable growth so slow and steady is what makes you rich over the long term. Nothing fancy nothing exuberant and this is the core of Buffett and this is what I wanted to point out in this video that when you invest. The first rule is don't lose money so look for stable safe bargain prices high cash flows that can give you a margin of safety king of your business value and then let the businesses develop in their own way and you will get the satisfying returns but you have to be patient and buy them. Windows are cheap not when everybody is exuberant. It's easy to buy stocks when stocks prices go up. It's very hard to buy stocks in 1982 when.